For people of my age, a few years younger than him, Iqbal Khandey was a star. He was a great success story as he had qualified for the much coveted Indian Administrative Service (IAS). It was an aspiration those days. Of course, the service has lost much of its sheen and splendour since. The economic reforms of 1991, and the continuing liberalisation thereafter, curtailed the clout and power of the bureaucracy. Alongside, it opened up vistas of opportunity that were far more lucrative and fulfilling in a professional sense. Along with this generic change, there was a more specific issue in J&K. In 1978 when Iqbal entered the service it was a vastly different situation in J&K. The politics was not as polemical and the society was not as intolerant. Joining the service was neither a “sell out to Indian occupation” nor was it a badge of nationalism to be displayed on the chest. It was a job that one was doing even if not to the best of one’s capabilities, given the systemic constraints. It was socially respected and politically not adverse. Today, qualifying the civil services is not just a career choice. In the context of what has happened between 1989 and 2008, it has ideological ramifications on both ends of the ideological spectrum; the separatists see as betrayal and the ultra-nationalists as patriotic fervour. Iqbal Khanday didn’t recognise this duality. He didn’t have to. For that matter, he didn’t give regard to any duality, including the good and the bad. That was for weaker mortals. Here was a strong man who lived the way he chose to, and he worked the way he wanted to. For him, the local dilemmas were more important that national ideological debates. Not that his ideological position was ambiguous or ambivalent. He was a pure Kashmiri nationalist, and a fearless one at that. I remember him cutting short the Principal Secretary to the Prime Minister in a meeting when he inadvertently used the term “militant families”. “There are no militant families; you mean “families of militants”, Iqbal interjected. An apology followed! Though I had known of him since 1981, the first time I spoke with him was in 1997. I remember very vividly, I had just moved to Mumbai when I got a call from him. He just told me his name and started off as if we were school friends. Unadulterated simplicity that reminded you of a Kashmiri villager! You are one of our own the moment we meet you. I, of course, knew that we were related to each other albeit by a fair distance like everyone is related to everyone in Kashmir. His call was to invite me to join politics. He said some likeminded people were setting up a political party and that I should be coming back to the state. To take the conversation forward, he suggested that I should meet Muzzaffar Hussain Baig when in Delhi next. Such was my ignorance about the political people in the state, I didn’t know who Muzzaffar Baig was! The next time I went to Delhi, I tried meeting Baig sahib but wasn’t able to. And that was the end of my first invitation to politics. 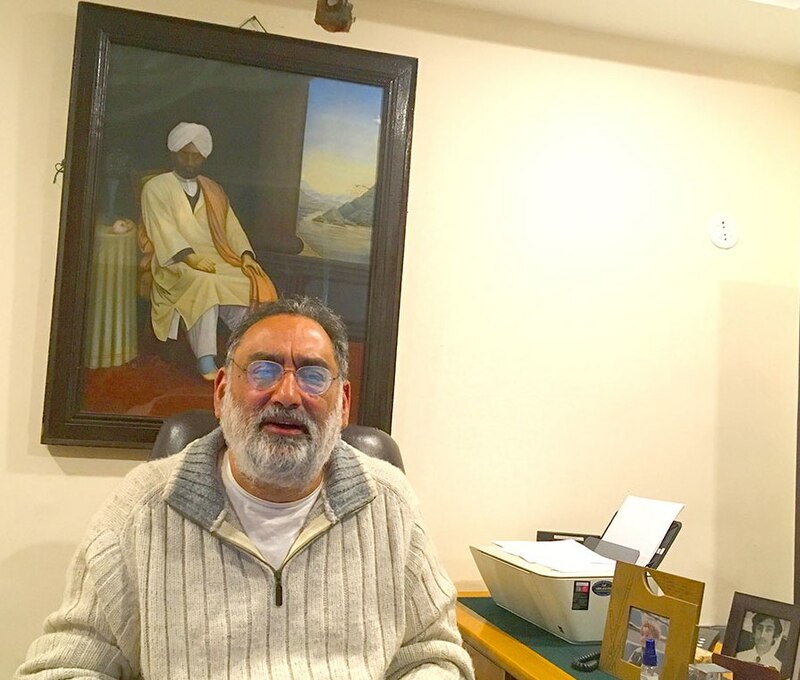 My next encounter with Iqbal was when I came to Srinagar as a part of the Godbole Committee. He invited me home. I got to know him as a gracious host. He had taken great care to organise a meal. I clearly remember feeling that this man knew me very well! The food was what I wanted, cooked exactly the way I like it, in the old Kashmiri rural style, strong and spicy! 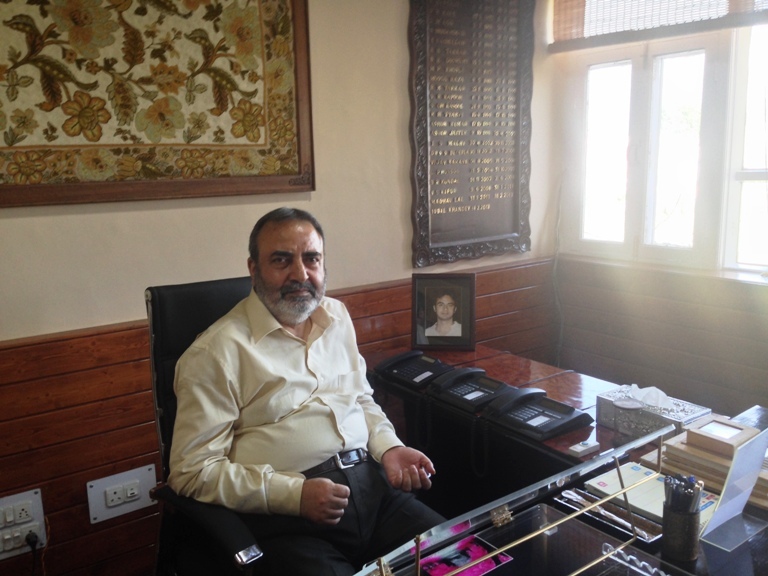 This is the time I got to know that beneath the veneer of a Sainik school educated civil servant was a lovable Kashmiri whose soul was in the remote hamlet of Wandewalgam near Kokernag, where he came from. Yet, his concerns were modern, and his outlook was liberal. I don’t think he was the archetype Kashmiri. But he had all the virtues and values of a Kashmiri. Above all what struck me was that he was not just emancipated but he was tolerant to a wide variety of thinking be it political or behavioural. And this resulted him in not being either judgemental or moralistic. The next time I met him was by accident but was even more memorable. Dr Manmohan Singh, who was that time leader of the opposition, had invited me to New Delhi to attend an Iftaar party hosted by Mufti Mohammed Sayeed sahib who had just been sworn in as the Chief Minister of J&K. I flew in from Mumbai and went to the J&K House where I saw Iqbal Khanday. I think he was that time the Principal Secretary to the Chief Minister. He took me to his suite and invited me to “shack up” with him! I did that and got to see a completely different facet of the man. Neat and very organised. Very conscious of his sartorial style and elegance; matching his socks with his tie and all the works. We chatted late into the night about J&K. The next evening I went with Dr Singh to the Iftaar party and was introduced to Mufti sahib and Baig sahib. Mufti sahib beckoned Iqbal and asked him to issue orders for my appointment as Economic Advisor to the Government of J&K. Iqbal did that the next day. And he called to tell me this is one order that he is not only delighted to issue but will be remembered for! From then on my interactions with Iqbal were frequent. Even though we may have had differences on policy and procedure, it was never in doubt that we were always on the same side. He went along with me on all matters of economic policy as he thought I was an expert. What struck me about his work was the ease with which he shouldered his responsibility, the clarity of his thought, the quality of his decision making and the speed of his disposal. He wasn’t overburdened by his job, weighed in by his position or hemmed in by his official status. He was light and simple. My final round of interactions was when I was finance minister and he was the Chief Secretary. He was reverential as always but not subservient. He held his own. And never compromised the position he was in despite being with the government that he had political affiliations with. His conduct was impeccable. Being one of the “ghost founders” of Peoples Democratic Party, I think expectations that he would do the bidding of the party were misplaced. This led to friction between him and the government and he sought voluntary retirement. I never met him after that. I will cherish my different and diverse interactions with him. He was a rare species of human being. As I told one of his kin, who asked me to pray for him, he doesn’t need our prayers. He was a man who could do no wrong for such as his own value system. R.I.P. Iqbal!